44 Inch Chest 1hr. 35min. Provocative, outrageously profane and surprisingly tender amidst an explosion of unbridled testosterone, 44 INCH CHEST explores the masculine ego at breaking point, testing whether fear is stronger than love. 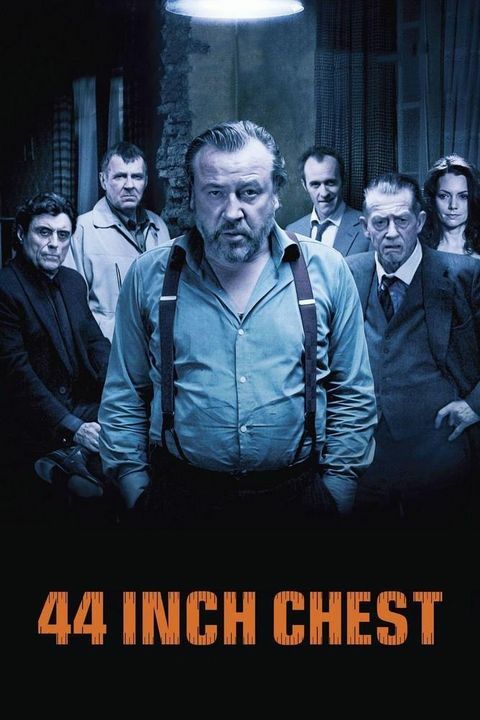 Colin (Ray Winstone) is in agony, shattered by his wifeâ€™s (Joanne Whalley) infidelity, so his friends kidnap the wife's lover so he can have his revenge.